Inside a round steel, casing sits a mounted Ceramic magnet. This changes the magnetic field produced by the magnet and deflects the field to create a powerful single sided holding magnet. 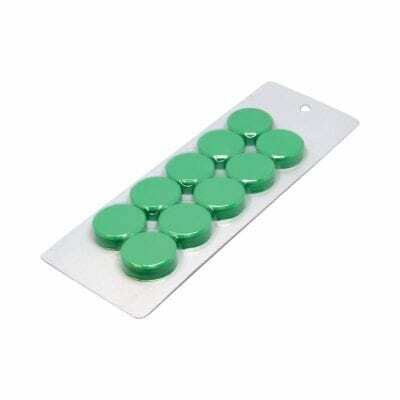 Instead, our pot magnets attach to any magnetic surface and by using the conveniently placed hole, can hang a wide range of items from signage to managing electrical cabling. Furthermore, they are completely removable should you need to relocate them. 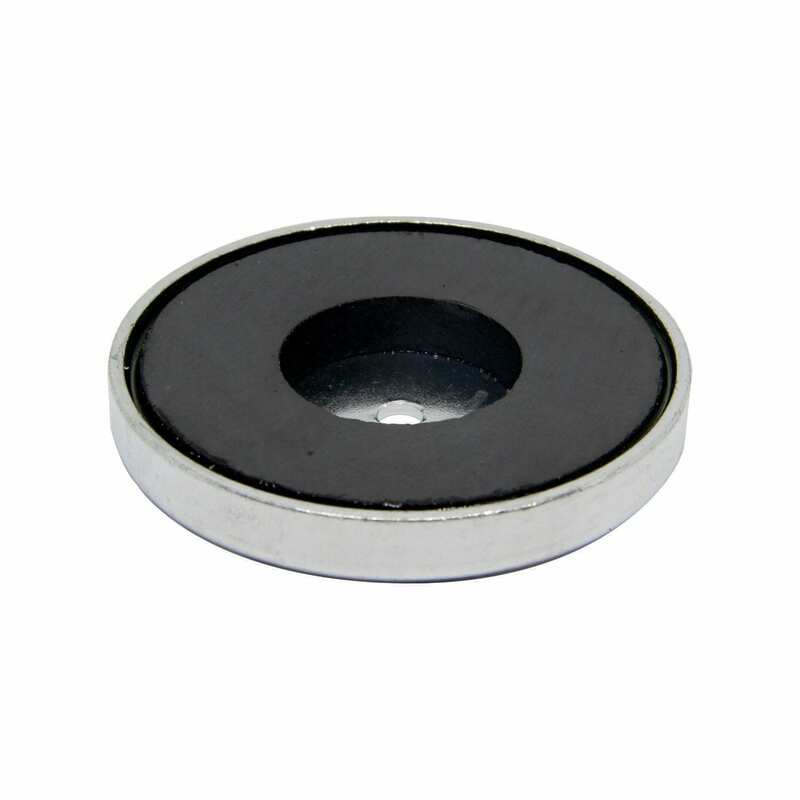 As with all un-coated magnets, these may be prone to chipping or even breaking if mishandled. 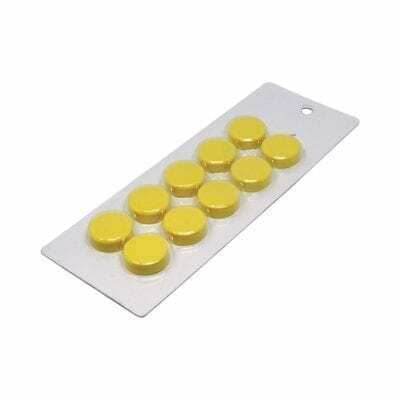 Abrasion from this magnet may also effect contact surfaces and due to this, we do not recommend that you use these magnets on fragile or sensitive surfaces. 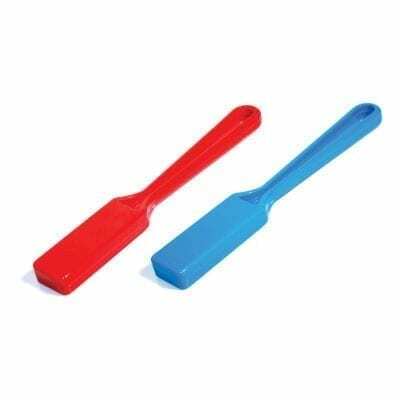 If you are wanting to use these in such areas we recommend the use of our rubber caps. Please be aware that using a rubber cap will reduce the pull force of the pot magnet. 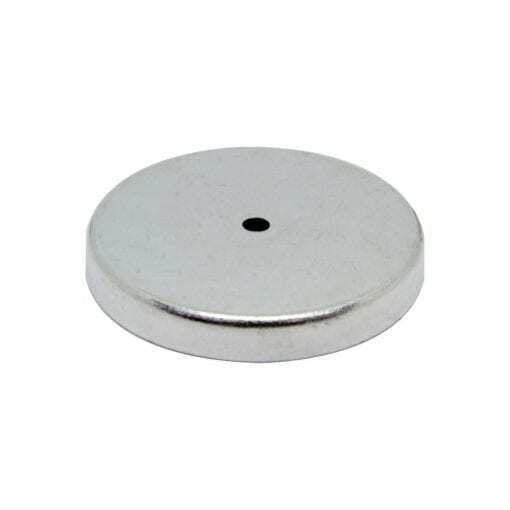 Because of this, we recommend that you use a larger pot magnet than you need in order to make up for the loss in the pull force of the pot.